The final guidance, “Questions and Answers Regarding Mandatory Food Recalls: Guidance for Industry and FDA Staff”, is as its title states, in a Q&A format, offering answers to the most common questions about the mandatory recall provisions in section 423 of the FD&C Act. FDA Commissioner Scott Gottlieb, M.D. also released a statement about the agency’s commitment to keeping unsafe products off the market. “When issues arise that would put consumers at risk, we won’t hesitate to mandate the removal of a product from the market using the full extent of our authorities. It’s our responsibility. And it’s critical to our mission to ensure the safety of Americans,” stated Gottlieb in a press release. He added that most companies are cooperative in closely working with FDA to initiate voluntary recalls. FDA will be making additional moves to enhance its recall policies, according to Gottlieb. 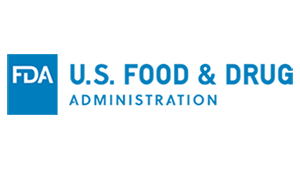 Any food facility that manufactures, processes, packs or holds ready-to-eat (RTE) foods should view FDA’s update on its draft guidance, Control of Listeria monocytogenes in Ready-To-Eat Foods. Consistent with FSMA, the draft focuses on prevention, and includes best practices and FSIS’s seek-and-destroy approach. Other recommendations include controls involving personnel, cleaning and maintenance of equipment, sanitation, treatments that kill Lm, and formulations that prevent Lm from growing during food storage (occurring between production and consumption). The agency will begin accepting comments on January 17.